What a week it has been! We celebrated Ford's birthday with a big party on Saturday August 9th and I think it took a lot out of him because managed to catch a cold and fever the day after. His actual birthday (August 11th) was spent at home cuddling, playing with new toys and resting (homeboy took 5.5 hours worth of naps and I took a good one myself!). All I wanted for Ford's birthday party was for him to have fun. All of his friends and family and the people who love him so much in one place. I feel like ever since he turned 6 months I've been planning my party in his head. My thoughts were, you only turn one once so nothing could be too over the top (side note... next year his party will be at Chick fila...if he even has one ha!). I was a busy bee preparing for 40 adults and 25 kids in our home and all the late nights, kitchen messes, and trips to Target were worth it. 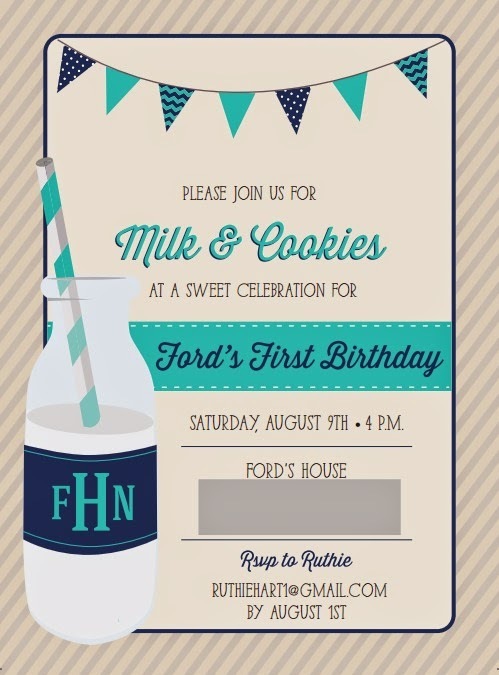 Emily from Poppy Designs designed Ford's invitations and all the paper goods for his party. I can't praise this woman enough! For $12 she will custom design an invitation, announcement, or card for you and you can print at your local print shop or Kinko's. I completed 12 monthly photos of Ford and knew I wanted to display them at his party. I got my hands on a free pallet from a neighbor and nailed the photos along the wood. We chose #FordsFirst as the hashtag and had fun looking at what our friends posted! I laminated his birthday banner so I can use in the future! I had originally planned on making a mini angel food cake for Ford's smash cake but that was an epic fail. Luckily Nothing Bundt Cakes came to the rescue and a $3.99 bundlet did the job. Ford's birthday hat is from Dainty Couture and I plan on him wearing it on his birthday until he is 100. Erica from Inspired By Above make a sweet little chalkboard birthday print for Ford and I am absolutely smitten with it! It was a fun way to share Ford's current stats/tricks/likes with our guests and I plan on hanging it in his room! Erica is offering $10 off any chalkboard print order placed before September 30th and 10% off an invitation order! 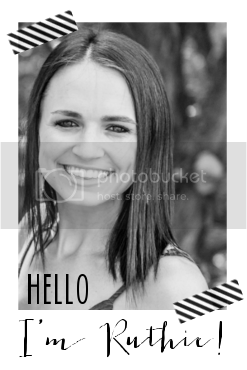 If you mention my blog, you can get an additional 10% off! I printed the chalkboard print as an "engineer print" at Staples, tacked it to a foam poster board, and set it on a borrowed IKEA easel. Fun, easy, and cheap birthday party decor! Our milk and cookies bar! I used Starbucks Frap bottles as vintage milk bottles, Jon enjoyed me making him drink the fraps! In addition to milk and cookies we served corn dogs, individual pasta salads, cupcakes, fruit kabobs, and salty snacks. I made homemade lemonade and had a big galvanized tub of beer, water, and sodas. It didn't surprise me that Ford didn't care for his birthday cake because he is so picky right now. I tried giving him chocolate cake at a wedding a few weeks ago and he refused. Who is this kid?! He enjoyed feeding mommy his cake and ended up eating 4 cookies, whoops! 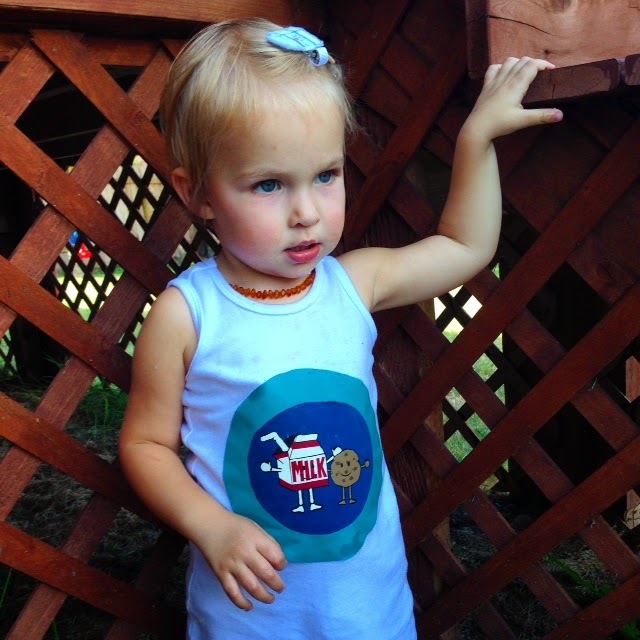 Embry in her festive Milk and Cookies dress! The party was awesome and was over in the blink of an eye. I forgot to take pictures of most of the decor and wish I would have gotten a picture of all the baby friends we had over. 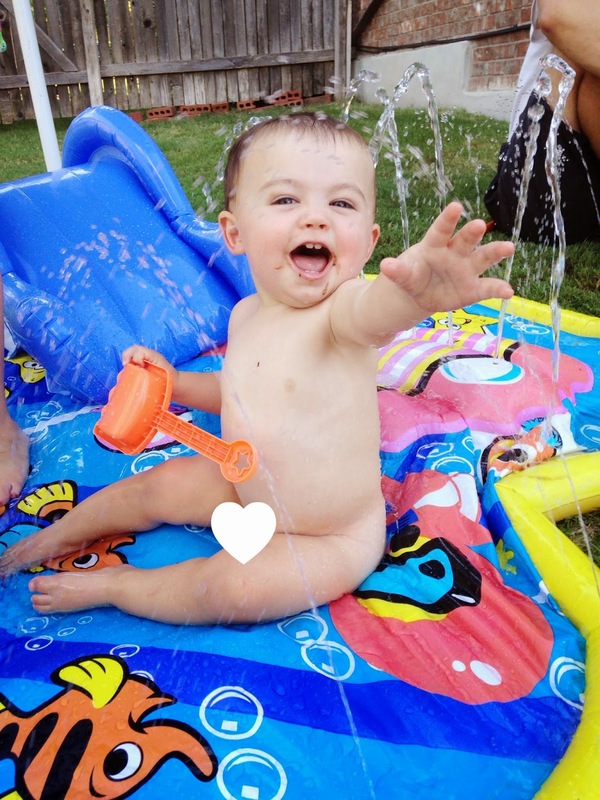 After his cake smash, Ford spent the rest of the party on his splash pad shrieking and having a blast. Party of one! My family stayed over after the party to help clean up and we put the babies to bed, ordered pizza, and opened his gifts! Boy do 1st birthday parties take a lot out of you. Thank you to our friends and family who helped make Ford's birthday party a hit! This morning we are off to Ford's 12 month well check and shots. Eeek. Everything is just soooo adorable!! What a great party for him :) Love the milk and cookie idea! What a fun party!! He's a cutie and I love the theme! Ruthie!! I enjoyed this post soooo much !!! my baby girl is turning the big ONE in less than a month and I am one emotional crazy planing mama right now! I will take all your tips, he looks like he really enjoyed himself! this party is magnificent! love his hat so much. the photos are so good! have a great check up! Precious party!! So glad he had a great time! Chick-fil-a sounds great to me- that's probably what we'll do too! haha! Such a cute party! I love the details with the cookie jars and frappie bottles! You planned it to the T. Love all the little details!! Ruthie - this is just perfect! Love all the attention to details! Happy birthday Ford! Their food delivery was a perfected show of true class and every waiter was in sync with each other. If you are looking for an awe inspiring event look no further then this place. Looks like such a fun party! Where did you get the letter candles?